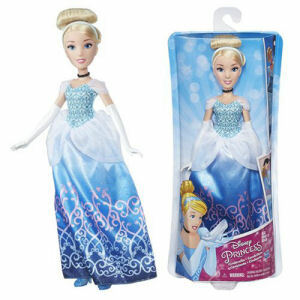 We have Just Sold out of Disney Princess Classic Cinderella Fashion Doll. Not to Worry! Fill in the Notify me When Available and you will be the first in line for our restock of Disney Princess Classic Cinderella Fashion Doll !! From the Disney Princesses collection by Hasbro. Disney Princess Classic Cinderella Fashion Doll. The Disney Princess has a unique glitter print pattern on her dress. Disney Princess Dolls Measure 11 inches tall. Ages 6 and up.